MFH Environmental Corp (MFH) is a minority woman owned small business (WOSB) specializing in Environmental Remediation. MFH was founded in 1990 by its principals Rafael and Josie Nickolas, the Nickolas’ gathered the most prominent personnel in the environmental remediation industry and formed the company whose principal target market is the Government Family Housing Replacement/Privatization Initiative. Through the military division of MFH, whose sole purpose is to assist an elite group of general contractors in the Military Family Housing Replacement/Privatization, MFH has abated and /or demolished over 3000 government housing in various military bases. Currently this division is under contract to abate and demolish over 900 more housing units. 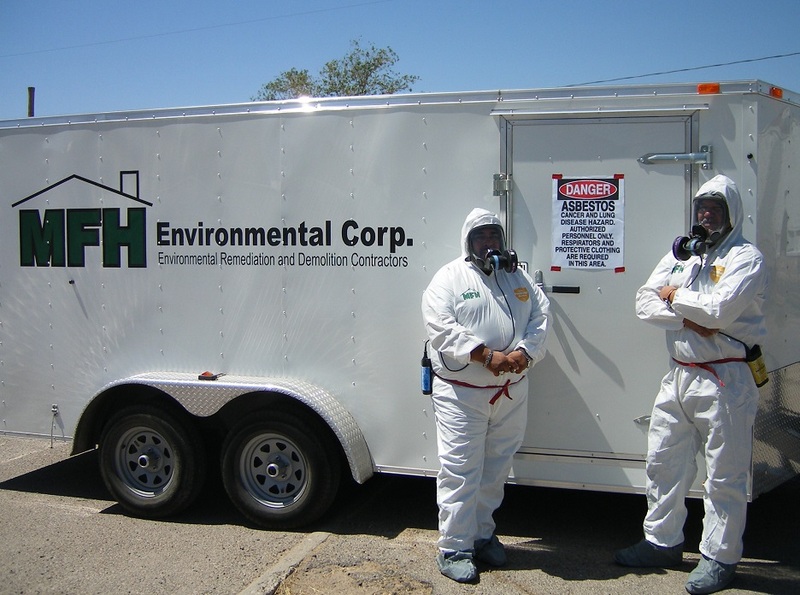 MFH, as a turnkey environmental remediation, firm specializes in the abatement of asbestos, lead and other hazardous materials such as PCB’s and mercury containing items. MFH also performs mold remediation MFH has performed governmental, industrial and commercial project for over 20 years in the states of Texas, New Mexico, Colorado, Arizona, Louisiana, Nevada and California. MFH has assisted numerous Owners and General Contractors with the development and implementation of design and construction of environmental plans (i.e. Demolition Plans, Abatement Plans, Environmental Protection Plans, Storm Water Pollution Prevention Plan, etc.) in accordance and in compliance with the Clean Air and Water Acts.